This book clearly and comprehensively explores the capability of critical realism to throw new light on educational theory. It firstly investigates the convergence and divergence between two forms of critical realism, which have not previously been cross-examined. This task allows the book to outline the key characteristics that are necessary for a theological position to claim the term "critical realist". The remainder of the text deals with the implications of critical realism for the enterprise of education. This "enterprise" is taken to include the thoughts and actions of students, classroom teachers, principals, educational administrators, policy makers, teacher educators, and philosophers of education. This final part of the book widens the scope of evaluating education from a critical realist perspective. It utilises the convergent ideas of Collier, Walker, and Corson on "power" as a platform to propose a critical realist perspective on education. 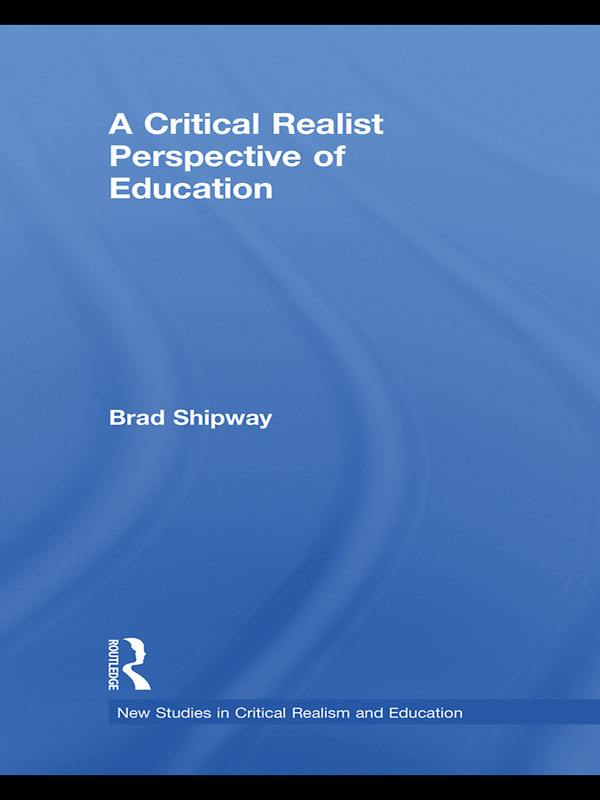 With attention paid to the fundamentals of critical realism, and education theory, A Critical Realist Perspective of Education is an ideal text for undergraduates as well as postgraduates and professionals with an interest in broadening their understanding of education theory.